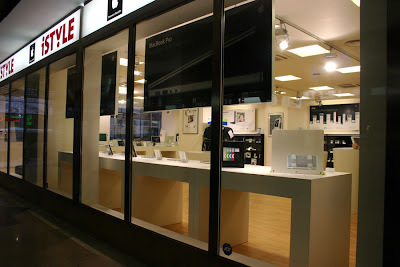 There are a few places in Prague where you can see and buy Apple products, this being one of them. It's the iStyle in Revolucni street (close to Namesti Republiky metro station). This shop is full of products, you can try almost everything from Apple. Unfortunately there are no people. The shop at Andel has more customers for sure. Have you seen the new iPhone?